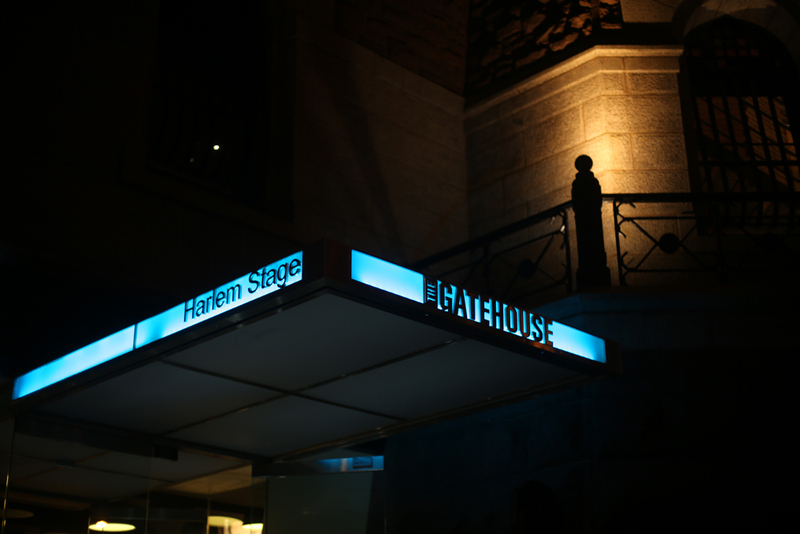 FETUS (world premiere) at Harlem Stage Gatehouse Theater. DMM: How did ZEST get involved with THE TAKEOVER? 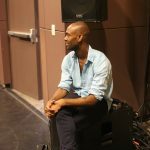 Gentry: Since I began ZEST in 2013 Malcolm Low has served as artistic advisor, guiding and encouraging me as I endeavor to create a momentous voice in the dance community. Low’s company (Malcolm Low/Formal Structure) was one of the headlining performance groups at EMoves 16. He nominated me to participate in one of the EMoves’ culminating events known as THE TAKEOVER. 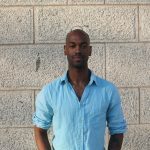 The event showcased nine emerging choreographers who were selected by EMoves 16 choreographers and mentors to create a series of works to be performed in an assigned site-specific area at the historic Harlem Stage Gatehouse Theater. DMM: Tell us more about the work you recently premiered. 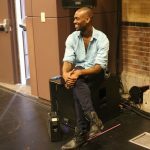 Gentry: On April 18th, 2015 ZEST COLLECTIVE Contemporary Performance Art and electronic guitarist Dylan Sneed premiered FETUS – a site specific movement series in 6 parts at Harlem Stage Gatehouse Theater for EMoves 16: THE TAKEOVER. Nine sculptural bodies descended into detail symbolic representations of spring and decay. For this installation audience members were arranged in a myriad of settings in hopes of inspiring alternative ways of viewing and enjoying dance. We presented a number of solos and duets and finally a larger number with all nine dance artists, accompanied by Sneed. FETUS represents unending possibilities and explores ideas of loss and dismay. I grew up in a household as one of three young boys – all relatively the same age. Through elementary and junior high school my mother suffered a number of miscarriages. I saw her body blossom with hopes of new life only to witness the deep unspeakable pain fostered by the loss of a once strong and promising seed. FETUS offered me the opportunity to commune with my loss siblings. Guitarist Dylan Sneed joined us for the final number to create an almost playground-like atmosphere. The work is a homage to life and the transcendence of all living beings. DMM: Where you pleased with your company’s performance? Gentry: Yes. I am always pleased with my creative pursuits. Fortunately, I work with the best dancers in the world. They all have great enthusiasm for life and our working environments as well. Often I dream and relive the moments created onstage by members of ZEST and I am thoroughly encouraged to do more, to expand our movement vocabulary and share our sacred works with the world at large. 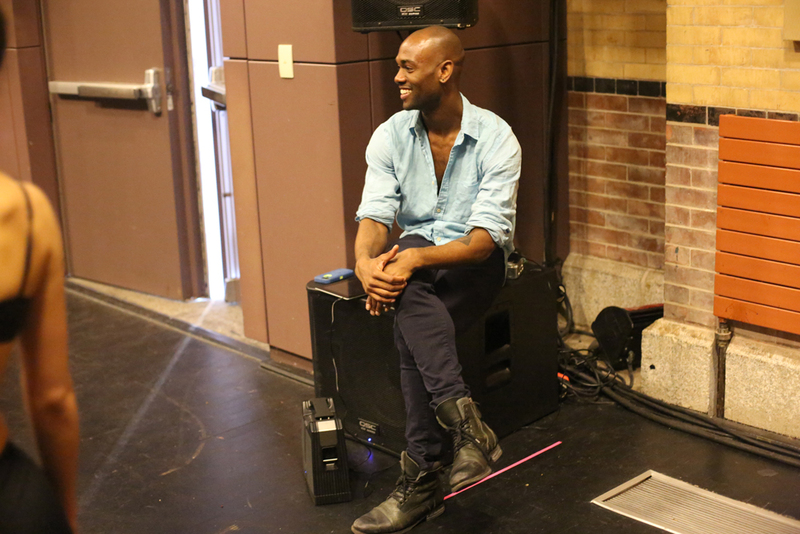 DMM: This time you collaborated with musician Dylan Sneed. In the past you have collaborated with other musicians and visual artists. Tell us how was this project different. Gentry: While we have limited funds there is no reason to sacrifice the rich experience of live music. My dance artists and I are growing exponentially and it is vital we keep in mind our larger mission – to present powerful and deeply moving works of art fueled by the creative investigation of movement as experienced through exploring the body’s response to external and internal impulses. 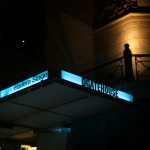 This time we had an opportunity to perform at the historic Gatehouse Theatre which among it’s many amenities offered absolutely beautiful acoustics. I wanted to bring something special to Harlem and I wanted to experience something new. 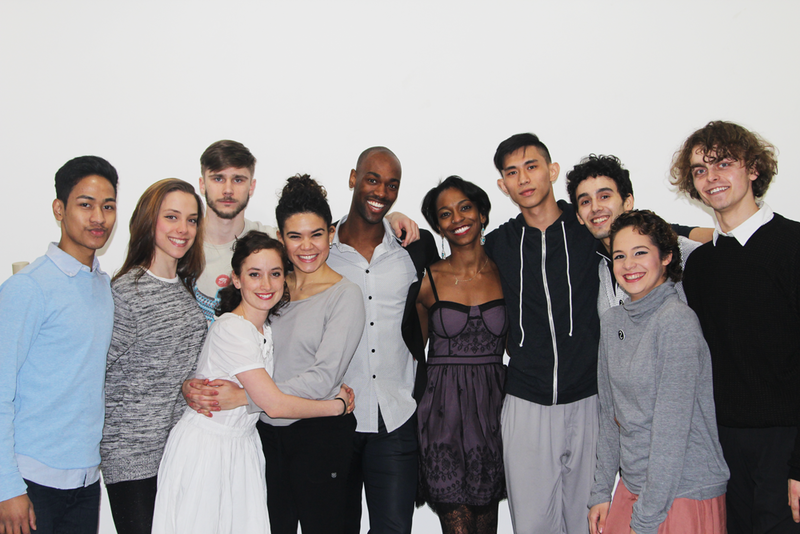 I met Dylan through ZEST’s choreographer and dance artist Stephanie Salts when Sneed came to see our recent performance in February when we presented “A Matter Of Heart,” accompanied by electronic duo Pax Humana. We spoke briefly about the possibility of future collaborations and two months later we were able to make it a reality. The sound of the guitar has a feeling of home and warmth. Dylan’s work offered the perfect soundscape for FETUS. The energy was raw and lyrical at the same time. DMM: What were some of the challenges you faced? Gentry: The company faces the challenge of being primarily funded by myself. The creative energies are always overflowing, however, affording time and space to create is always a challenge. Nonetheless, we premiered a beautiful work recently and I am excited to continue creating. Gentry: I will spend a great deal of spring setting a new work on a company in South Florida which will premiere in September of this year. I am challenged and privileged to create a work with music by Argentinian composer Astor Piazzolla. Feel free to follow us on Instagram and like us on Facebook to view posts of our recent creative discoveries.